Uber’s losses leave Amazon in the dust. These losses are on a different scale from losses we’ve seen before. Pets.com, one of the bubbliest companies of the dot-com bubble, lost about $150 million from when it was founded in 1999 to when it collapsed in late 2000. 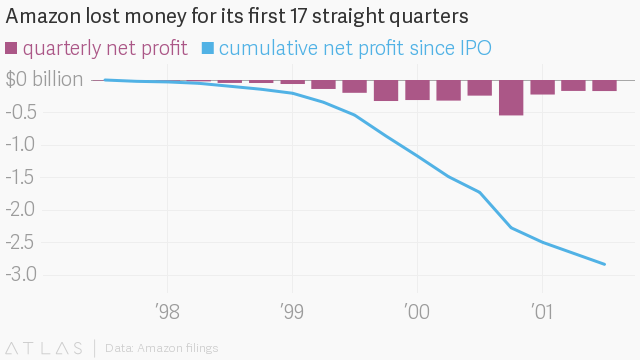 Webvan, another dot-com poster child, lost $610 million from 1998 through 2000. Where is Uber’s money going? Cost of revenue: Uber’s biggest cost is cost of revenue, a category that includes insurance costs related to ride-hailing, incentives paid to drivers, and costs incurred with carriers for the Uber Freight trucking platform. In 2018, Uber spent $5.6 billion, or 50% of its revenue, on this category. Cost of revenue increased by $1.5 billion, or 35%, from 2017 to 2018, in part due to an increase in “excess driver incentives.” Uber describes these incentives as any amount paid to a driver that exceeds the revenue earned by that driver (for instance, if a driver’s earnings from a trip exceed the fare for that trip). Excess driver incentives jumped by about $300 million in 2018 from the previous year, largely due to Uber Eats. Sales and marketing: While most driver promotions go into cost of revenue, rider discounts go into Uber’s next biggest expense, sales and marketing. 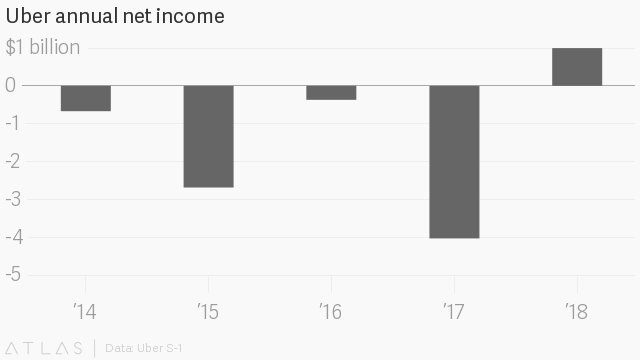 In 2018, Uber spent $3.2 billion, or 28% of revenue, on this category, up $627 million or 25% from the previous year. The company attributed this increase to $1.4 billion in discounts, promotions, refunds, and credits for customers, up from $949 million in 2017. Uber also puts driver referral bonuses into sales and marketing, and reduced that expense to $136 million in 2018, from $199 million in 2017. Research and development: A lesser but still significant expense for Uber is research and development, which includes the company’s efforts to develop self-driving cars through its Advanced Technologies Group. 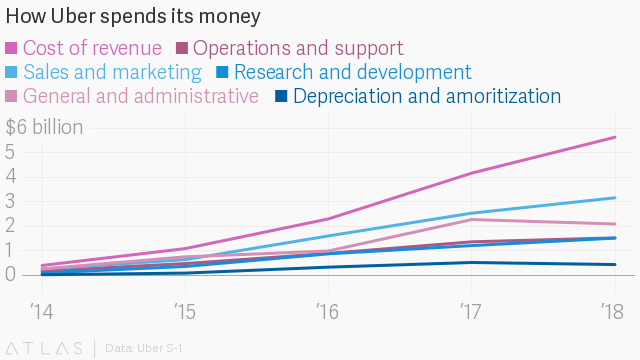 In 2018, Uber spent $1.5 billion on research and development, or 13% of revenue, up from $1.2 billion in 2017. Of that $1.5 billion, $457 million was spent on Uber’s autonomous vehicle research, up from $384 million 2017. Correction: An earlier version of this post said Uber lost, not made, $997 million in 2018.